The story of a Mississippi man found hanging from a tree last week is making national news as authorities try to determine whether 54-year-old Otis Byrd, who was black, committed suicide or was lynched. In 1980, Byrd was convicted of robbing and murdering Lucille Trim, a 55-year-old, white convenience store clerk. Trim's daughter, Martha Rainville, went on to serve as adjutant general of the Vermont National Guard and ran unsuccessfully for Vermont's lone seat in the U.S. House in 2006. Rainville was a 21-year-old Air Force trainee when Byrd shot her mother while robbing the small, Port Gibson, Miss., grocery store her family owned. Byrd was paroled just before the 2006 election in which Rainville, a Republican, waged a hard-fought race against Democrat Peter Welch for the open seat. In a 2006 interview while she was running for Congress, Rainville told the Burlington Free Press that the murder was a traumatic event in her life from which she learned hard lessons. Rainville said white men in the community went to her father and offered to take care of the killer. Nine years after Byrd was paroled, he was found hanging from a tree — two weeks after going missing. Authorities have been trying to determine whether he ended his own life, or someone else did. Autopsy results are pending. According to the Los Angeles Times, local residents and authorities said Byrd had stayed out of trouble since he was paroled. 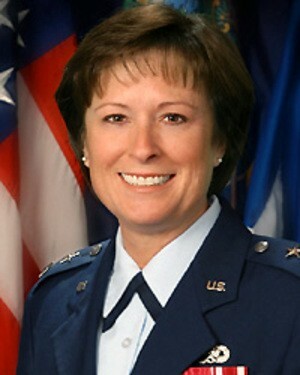 Rainville was the first woman to serve as a state adjutant general in the National Guard when she was elected in 1997 by the Vermont legislature. She stepped down in 2006 to run for Congress. She has since moved to the Washington, D.C., area and is chief operating officer of a consulting firm that advises government agencies on crisis response.